About us – Blue Creek Productions, Inc. Since 1987, our group of highly creative people have been entertaining and events for excited audiences. Blue Creek Productions works with clients to create media, entertainment, events and marketing programs to communicate with the family market. Their clients wish to catch the eye of families in a busy market, to create experiences that attract and engage families and to develop an strong, ongoing relationship with these families. We help companies tell their stories to families, then encourage families to become part of their stories by sharing experiences. Clients include Pop Warner Football, Cookie Magazine, Vail Resorts, Inc., Vail Valley Foundation, Telluride Resort Company, Booth Creek Resorts, East-West Partners, Merrill-Lynch, Chevy, The Walt Disney Company, The Disney Channel, MTV, Merrill Lynch, Young Presidents Organization, Denver Mayor’s Office of Special Events, the Eagle County Library District, Eagle Montessori School and others. 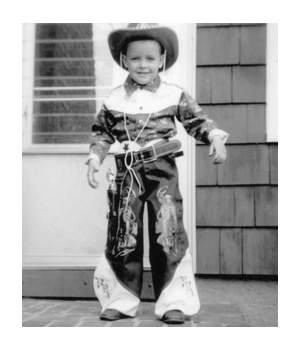 For over three decades, founder Brian Hall (pictured, circa 1963) has used Blue Creek Productions and Beaver Creek Kids, as his own theatrical laboratory to create entertainment and fun programs to delight the children and families who visit Colorado.